The scheme – which has an 11.6% success rate – supported 541 former maths and physics teachers who wanted to return to profession, but saw just 63 secure jobs in state schools, Tes reports. A government scheme aimed at encouraging former maths and physics teachers to return to the profession was undermined by the “perceived negativity” of schools towards returners and a lack of opportunities for classroom experience, according to an evaluation report. The return to teaching (RTT) scheme was launched by the coalition government in 2015 as part of a wider package to get more maths and physics teachers into classrooms. The programme targeted qualified teachers not employed in state-funded schools. Individuals participating in the scheme received one-on-one support from an RTT adviser, which included being signposted to opportunities to refresh their classroom experience. When they were judged to be back up to speed, the returners were helped to find vacancies and apply for jobs. However, according to an evaluation report published July 6, participants were “mixed” in their assessments of how helpful the scheme was. “Most felt that the RTT adviser support was positive and as helpful as it could have been, but their outcomes were thwarted by the difficulties they had in accessing schools, adequate classroom-based training or experience and other opportunities beyond the adviser,” the report states. Some of those interviewed felt that any progress they made towards returning to teaching “related more to their determined efforts, good luck or informal contacts” than the adviser or the programme. 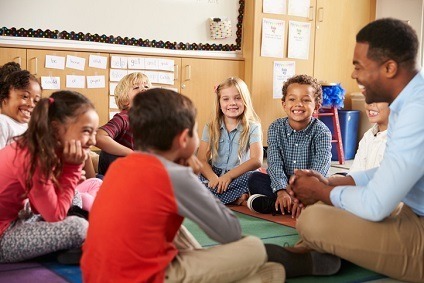 “Many of those interviewed reported that the lack of opportunities for classroom experience, the insufficient subject enhancement available and the perceived negativity of schools towards returners meant that the RTT adviser support had been insufficient for them to secure employment in teaching,” the report says. Running from 2015 to 2016, the RTT programme supported 541 people seeking to return to teaching, 63 of whom secured jobs in state schools by the end of September 2016. While the scheme exceeded its target of filling 50 jobs, the report notes that it had a “lower than anticipated conversion rate” of 11.6%. Tes reported in May that a second government scheme aimed at persuading more than 1,000 people back into teaching resulted in just 49 returning to the classroom, at a cost to the taxpayer of nearly £12,000 each.